The deal is one in a string of recent acquisitions for the vendor, but also reflects the battle between leading IT vendors to build the most comprehensive marketing technology stack. Four-year old Appoxee provides a mobile marketing automation platform designed to help brands improve interaction with customers via mobile apps. Key features include in-app messaging and push notifications, audience segmentation and targeting, message creation, testing and analytics. Appoxee’s client base stretches across the Americas, Europe, Middle East and Asia and includes well-known brands such as Verizon, Lorna Jane, Domino’s Pizza, Fox International Channels, National Geographic and EZTrader. The company claims to serve more than 400 million users worldwide with a billion messages per month. The acquisition closed on 17 December 2014. Financial details were not disclosed. Teradata said Appoxee’s solutions will be immediately integrated into the Teradata Integrated Marketing Cloud as well as its Digital Marketing Center, giving users a united platform to manage communications across email, websites, SMS, social media and mobile. Longer-term, Appoxee’s feature set will be extended to Teradata Customer Interaction Manager and Teradata Real-Time Interaction Manager. 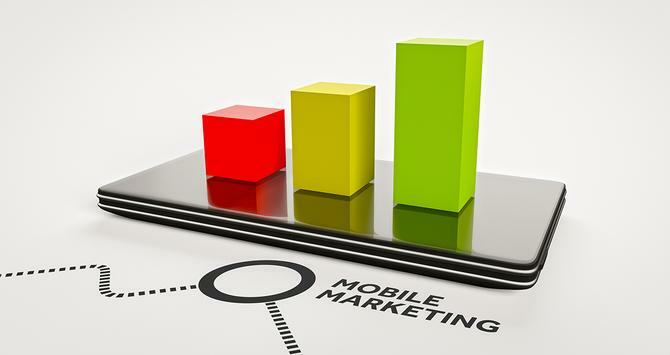 “By adding Appoxee’s leading mobile marketing solutions, we’re further helping our customers use data to know more about their customers’ true preferences, and do more to realise the benefits of individualised data-driven marketing,” said Teradata Marketing Applications Australia area director, Simon Bowker. Teradata is one of a number of enterprise vendors looking to build out an end-to-end marketing technology platform alongside Adobe, Salesforce, Oracle, Sitecore, IBM and SAS. For many, acquisition is proving the fastest way to securing the various point solutions and technical prowess needed to create an all-channel marketing technology suite. Teradata’s shopping list over the past 12 months has predominantly focused on big data and analytics management, deals that will benefit both its traditional IT and data warehousing customers as well as marketers. Purchases included big data management vendor, Revelytix; big data startup, Hadapt; Think Big Analytics; and Hadoop big data archiving vendor, RainStor. However, Teradata also partnered with Australia-based consultancy, Localz, in a deal that will see the latter’s proximity marketing solutions integrated with the Teradata Integrated Marketing Cloud platform. Like Teradata, other marketing technology platform rivals are also shoring up their mobile marketing capabilities through both acquisitions and new feature sets. Adobe, for example, recently confirmed the Adobe Marketing Cloud platform can now send customised in-app messages to iBeacon apps. At the same time, the vendor announced a mobile app dashboard for marketers, along with a social app tool available on mobile devices. Last September, Salesforce extended its Journey Builder features, available under the Salesforce ExactTarget Marketing Cloud, to mobile apps management. And in late 2013, IBM acquired Xtify, a provider of push notification-based marketing services for mobile platforms to integrate into its Smarter Commerce line of digital marketing software and services.